Say goodbye to baby bald spots and unruly knots with Silky Tots! Did your baby have gorgeous hair only to develop a shiny bald spot from lying down? Or perhaps your little one has a full head of long locks that keep getting tangled or frizzed up?! Well, worry no more with new silk cot slips from Silky Tots! 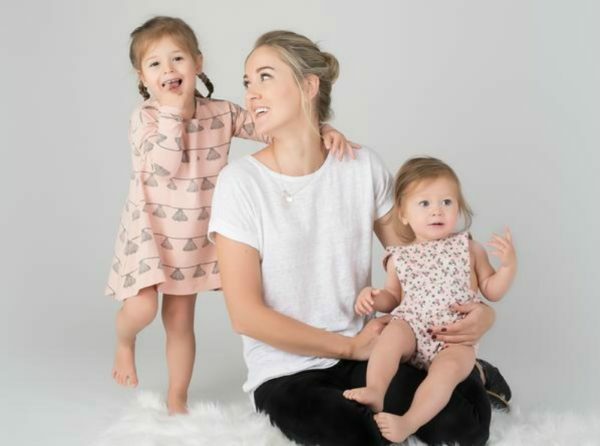 When mum of two, Nikki Bardis from Mount Eliza in Victoria, found her first daughter was developing a bald spot from her head rubbing against the bed linen she decided to create her own product to fix the problem, after not finding anything else on the market. Leaning on her old school advice from her Gran, the result was Silky Tots – a luxurious silk cot slip made from 100 percent mulberry silk. Unlike ordinary cotton and bamboo sheets which twist and tug delicate baby hair causing knotting, matting and of course bald spots, the Silky Tots cot slips let hair glide over the surface eliminating the friction which causes the hair to tangle, frizz up or fall out. This also means no more trying to brush out knots from a cranky toddler’s hair! Plus, in addition to preventing balding, the silk slips can help babies with existing bald spots regrow hair within two to three weeks. Amazing! Safe and sound – They’ve been developed to fit within the SIDS safety guidelines. Allergy friendly – Silk is naturally uninhabitable for dust mites so it creates the perfect sleep environment for babies or children with allergies and/or asthma. Hydrating – Silk is non-absorbent so it doesn’t absorb the natural oils our skin needs meaning it keeps babies’ hair and skin hydrated, which is great for little ones with eczema. Warm AND cool – Silk is naturally temperature regulating which means it helps babies stay cool in summer and warm in winter. So see you later frizz and fallouts, and say hello to silky smooth hair for your bub! The Silky Tots slips come in both bassinet and cot size, with other products including pillow slips for older children, plus a handy baby silk head support for car seats, bouncers and prams. Individual prices range from $54.99 to $84.99, with free shipping within Australia.